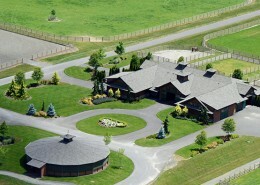 Our world-class equine facility demonstrates our comittment to excellence in sporthorse breeding. 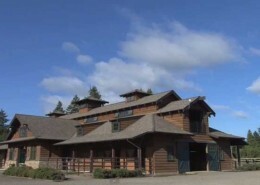 Wild Turkey Farm spans 255 acres in the lush and beautiful Williamette Valley, just south of Portland, in northwestern Oregon. 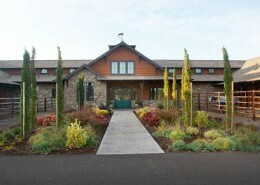 Built by Buckingham Resources of Oregon City, Oregon, our property includes the retirement farm on the 40 acres that flank the Willamette River to the south, and the training and breeding farm on the 180 acres to the north. We welcome visitors by appointment to meet our stallions, mares and offspring in their beautiful home in the Pacific Northwest.